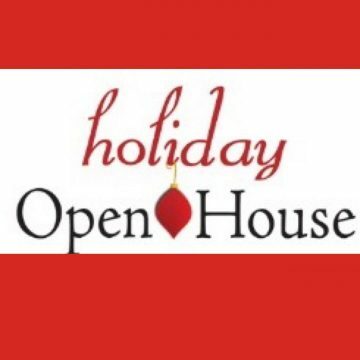 Holiday Open House - Downtown Manhattan Inc.
Come Downtown to kick off the holiday shopping season with our Holiday Open House! Shop from our amazing local businesses and find holiday specials and delicious treats. The Village Geek – 105 N. 3rd St. : Sip warm drinks while you shop. All drinks from the coffee bar are 40% off! The Winged Lion – 300 Poyntz Ave. : Shop our fabulous pieces for entertaining and decorating. Steve’s Floral – 302 Poyntz Ave. : Featuring Bavarian advent calendars, gourmet chocolates and fresh holiday bouquets. The Boutique – 318 Poyntz Ave. : Offering 15% off storewide, and 15% off Michael & Madge. Holiday cookies and cider will also be served. Brown’s Shoe Fit – 311 Poyntz Ave. : All Smartwool socks are buy 3, get 1 free. Bling – 321 Poyntz Ave. : 20% off storewide. Serving Santa’s favorite milk & cookies. Connected Fair Trade – 327 Poyntz Ave. : Join us for treats! Enter to win a holiday gift basket giveaway. Fortuity – 331 Poyntz Ave. : Free gift with every purchase! Claflin Books – 103 N. 4th St. : Offering up good reads for the holiday season. Root to Rise Yoga – 403A Poyntz Ave. : Come upstairs and see our new space. Strecker Nelson West Gallery – 406 Poyntz Ave. : Beautiful art in all price ranges for gift giving. Enjoy holiday munchies and mulled cider. Salon Brands – 409 Poyntz Ave. : Holiday Gift Packs 25% OFF. Buy 1 get 1 half price (excludes liters & appliances). Confetti & Cashmere – 411 Poyntz Ave. : Offering 20% off all holiday items. Serving seasonal treats. Gaia Salonspa – 421 Poyntz Ave. : 20% off all products w/Aveda gift set purchase, double rewards, gift card discounts and more! Enjoy complimentary spa treatments, food, beverages, and get entered to win a $300 gift card! Yee Haw Country Outfitters – 431 Poyntz Ave. : One day only, 10% off all K-State Anderson Bean men’s and women’s boots! And buy one pair of Rock & Roll Cowgirl jeans, get second pair 50% off, plus other deals. Rockwood Comics – 311 Houston St. : 15% off storewide. Flint Hills Discovery Center – 312 S. 3rd St. : Learn. Grow. Explore. Toys. 20% off all toys from your hometown museum store. CBD Sacred Leaf – 227 Blue Earth Pl. : Come in and enjoy 15% off storewide. CBD cookies and apple cider will also be provided. Glass Impressions – 329 Poyntz Ave. : Give the gift of hand crafted glass art this holiday season. 15% off storewide. Visit the newest downtown gallery. This is a must see for dog lovers and abstract art enthusiasts. Enjoy complimentary refreshments.